Session 1: Tradition or God’s Word? The Pharisees, Sadducees, and scribes had established an elaborate system of religious rules, practices, and traditions. 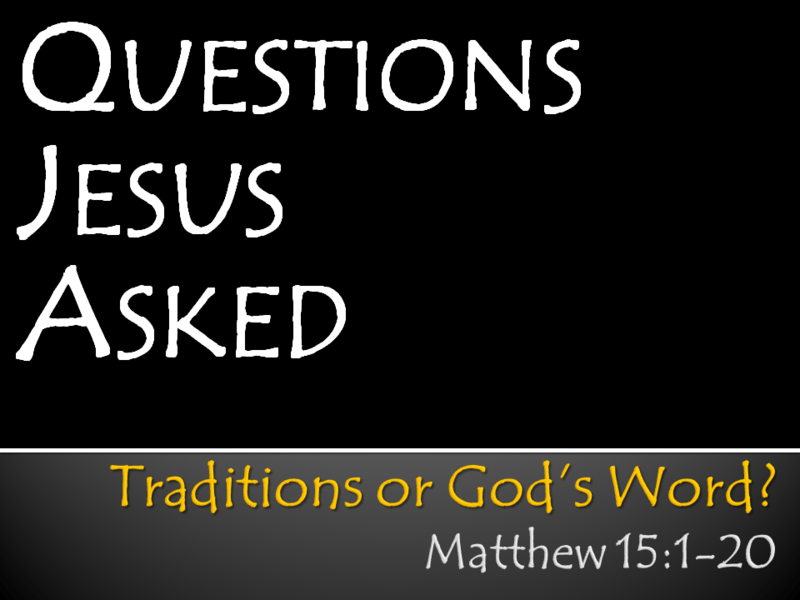 And at one point or another in Jesus’ public ministry, they all challenged Him on various topics. One of the favorite topics involved various matters of law and tradition. In this session we see how religiously following traditions, especially when they undermine God’s Word, can do great damage to one’s spiritual life.